KY 18 West from Burlington. Two miles to Hunters Trail on left. Right on Browning. Left on Woodgate. 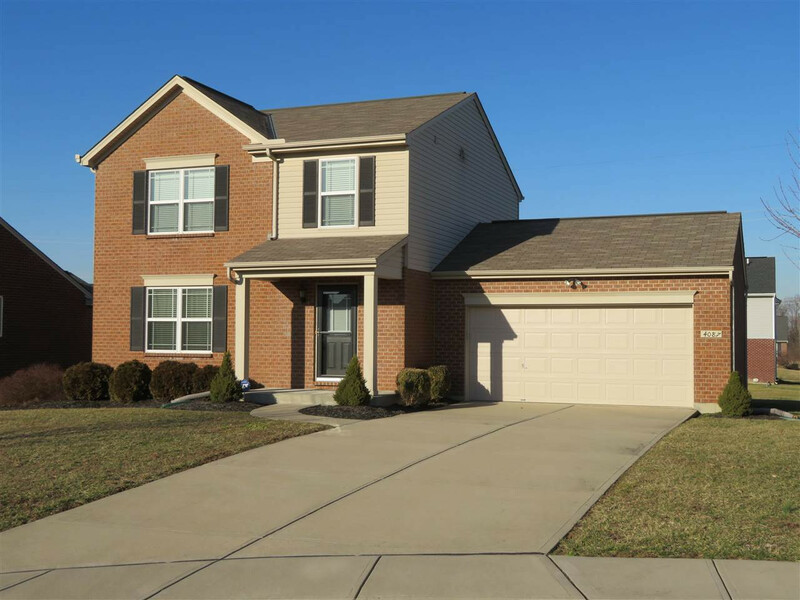 Two Story Arlinghaus home features 3 bedrooms, 2.5 baths and unfinished basement. Features rear patio, 2 car garage with opener, all appliances including washer & Dryer with a first floor laundry plus basement connections for washer & dryer. Home sits on left in cul-de-sac.